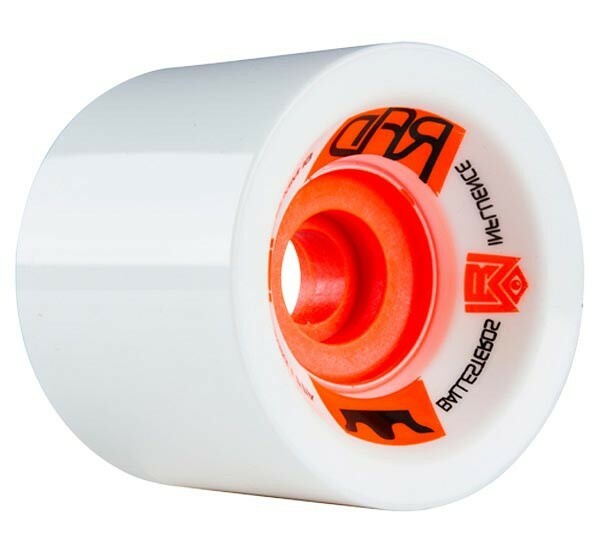 Coming in at 74mm tall, this wheel is quick on the acceleration, and the 77a formula and 61 mm contact patch ensures the RAD Influence is ready to grip it and rip it. 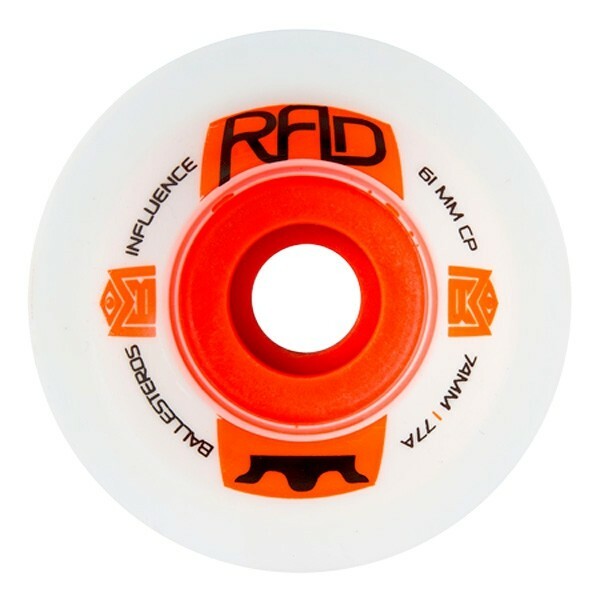 This RAD crown core gives you the highest roll speed and smoothest slides. All in all, a wheel designed by the IDF world champion is assured to be fast, grippy, and slide extremely smooth.